It was all systems go this week; so much happened that we’ve broken it down, day by day. On MONDAY there was a lot of planning to be done. 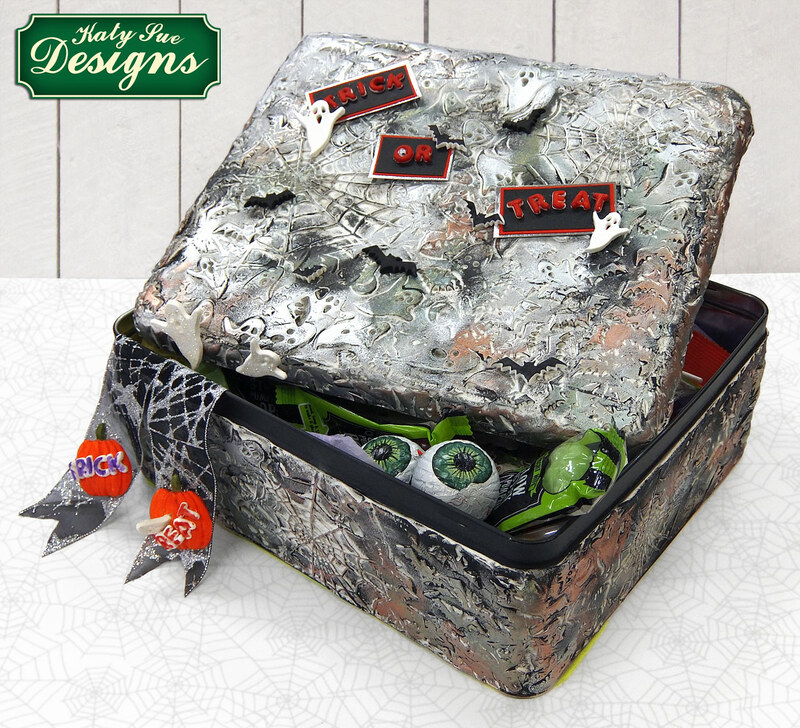 Our blog launched on Thursday, as did the Katy Sue Designs photo challenge competition (see this blog post and this Pinterest board) and it was a day of making sure everything was sorted for each! We got an exciting email from Sarah Harris from the Cupcake Range with a tutorial featuring one of our new products – keep your eyes peeled for this later this month! 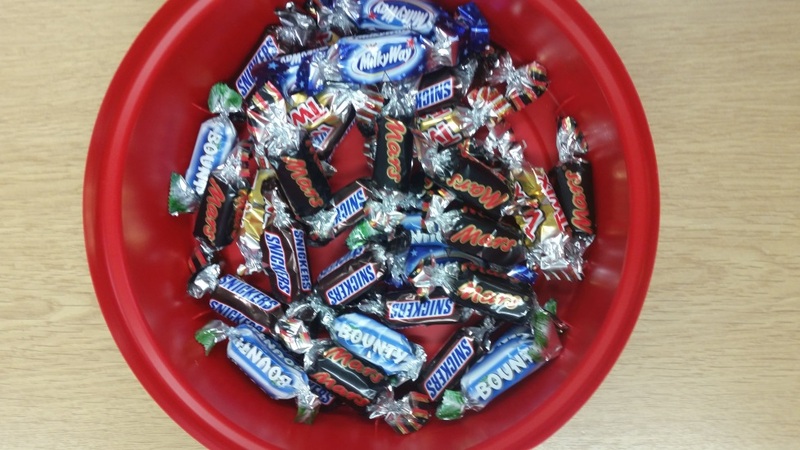 We also had a box of Celebrations in the office today – we all have a bit of a sweet tooth (1. who doesn’t?! 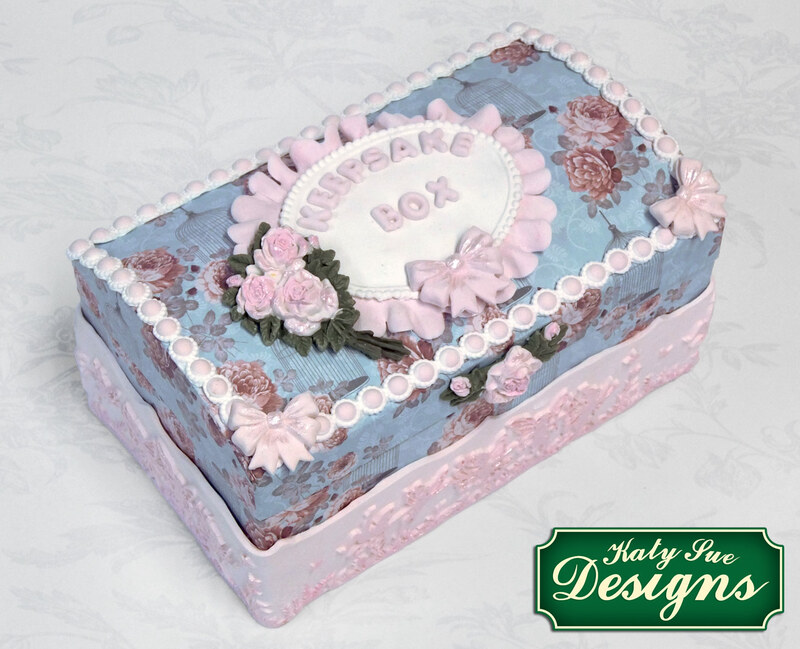 and 2. we all work for a company which make products for cake decorating – it was inevitable really!) so by the end of the day this was the damage! Whoops! The show was really good! It was broadcast in the US and the UK simultaneously and we received lots of positive feedback through emails and on Facebook so thank you to everyone who watched! Noreen was out all day but back in the office we were having technical difficulties! How many people does it take to figure out how to connect a new phone? Does it connect to the computer? Where does it plug in to the wall? Under the desk? Answer: it takes 5 people, 4 in the office and one offsite IT man and it still doesn’t work! Although we can’t let you know what the meeting was about (it’s very exciting!) we can show you the wonderful display that Noreen and Doreen put together. Look at this! On THURSDAY we had our monthly ‘What’s going on in the business’ meeting. These are always really interesting and this one was no exception, we discussed new products and exhibitions coming up and we think you’re going to love October and November as much as us!